Looking for something private and in a quiet location? Does it need to be in a short walk to Chafford Hundred Station? What about easy access to both Warren School and Harris Academy? Then this stunning and immaculate five bedroom detached home is going to be the house for you! Internally, you are welcomed by entrance hall, cloakroom, good size lounge, conservatory which also has an air conditioning unit, large modernised kitchen and utility room. To the first floor, there is a modernised three piece bathroom suite and three good size bedrooms with the master benefitting from an air conditioning unit and a four piece white en-suite bathroom. On the top floor, there is two good size bedrooms with built-in wardrobes, air conditioning to the top floor and one of the bedrooms with an three piece white en-suite shower room. 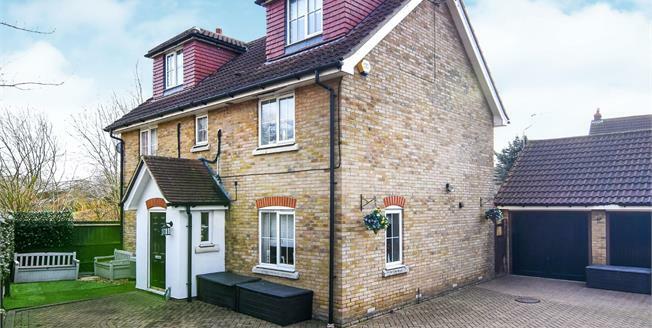 Externally, there is plenty of parking spaces for a number of cars behind gated entry and a double garage and a good size rear garden which is low maintenance with astro turf and paving. An internal viewing is strongly advised.